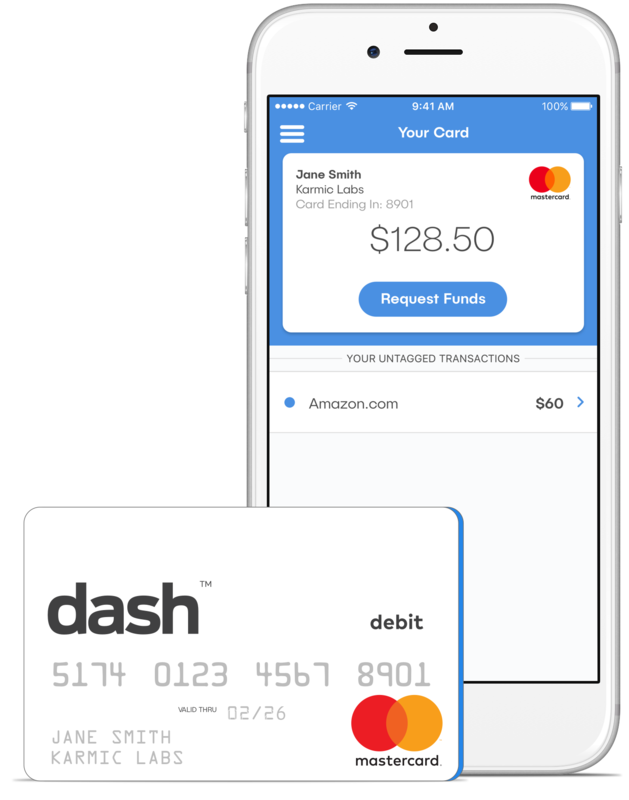 dash™ Prepaid Mastercard® - Expense Management. No Hassles. The dash™ Prepaid Mastercard® makes it easy to keep your teams funded and mobile. With dash, each team member can have access to funds wherever they need them, and business owners and accountants have insight into where those funds are being spent in real time. With the dash card your teams can purchase everywhere Debit Mastercard is accepted. 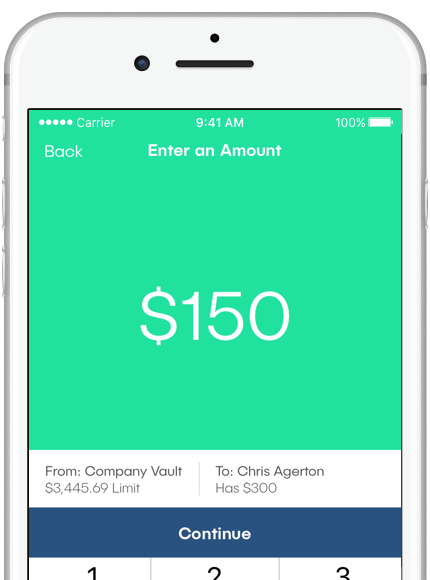 You will see each card’s transactions and card balance in the dash app. Unlike corporate credit cards, with dash there's no credit check (approval if you meet identification criteria), and your team can spend without the risk of maxing out your credit line. Set each team member’s spending limit or add funds as needed, and rest easy knowing that every dash card is backed by 24/7 fraud monitoring. For added peace of mind, if a card is ever lost or stolen it can be suspended from the dash app. After your team makes purchases, dash makes it easy to provide details on every transaction. Categorize, comment, and attach receipt photos. The dash web app provides detailed reports to track company spending. Export reports in common formats, and get archives of every uploaded receipt and photo. 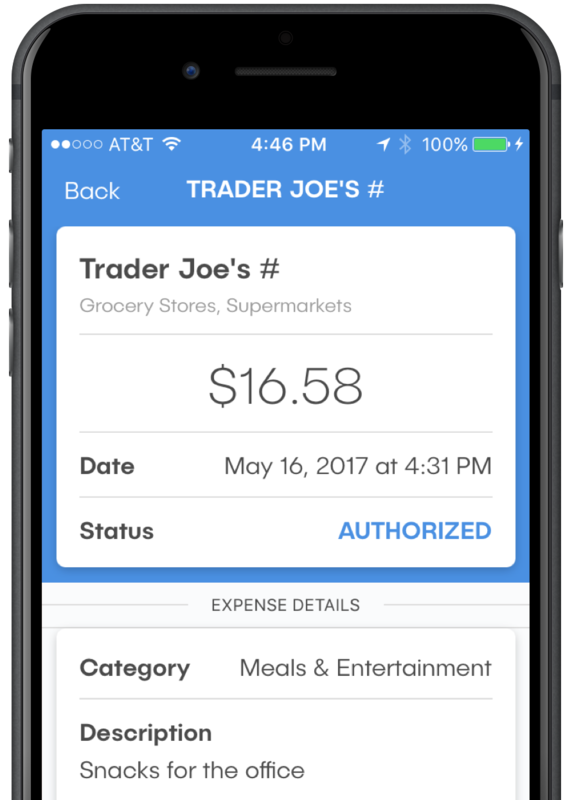 Ready to make expense management a dash? 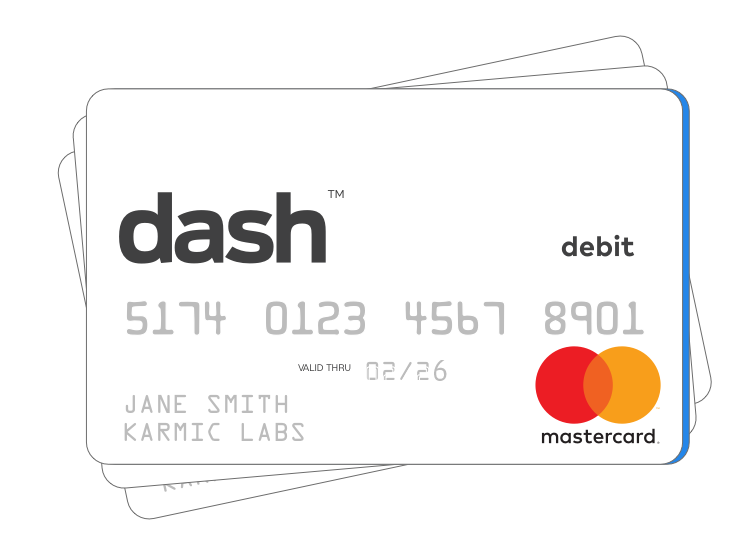 The dash™ Prepaid Mastercard® is issued by Sunrise Banks, N.A., Member FDIC, pursuant to a license by Mastercard International. Mastercard is a registered trademark of Mastercard International. This card may be used everywhere Debit Mastercard is accepted. Use of this card constitutes acceptance of the terms and conditions stated in the Cardholder Agreement.